SF Muni train murder: Passengers on smartphones didn't notice gunman. 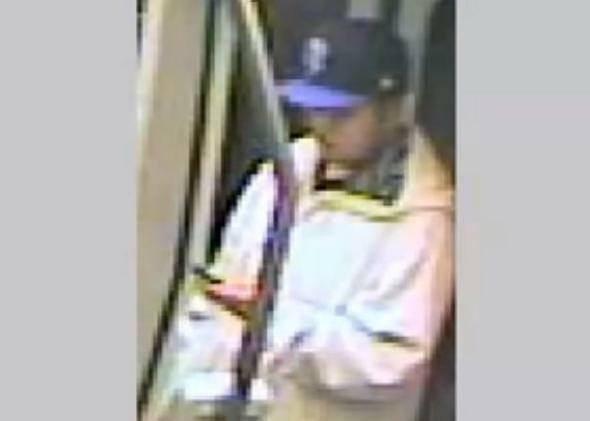 Police believe this man brandished a gun on a San Francisco bus multiple times without being noticed, before finally shooting and killing a fellow passenger. That’s what investigators saw when they watched surveillance footage from the eastbound M light-rail vehicle* on the night of Sept. 23. The San Francisco State student, 20-year-old Justin Valdez, was killed in what police believe was an unprovoked attack. Authorities have arrested a suspect named Nikhom Thephakaysone, 30, who prosecutors say appears to have been out looking for a stranger to kill. Authorities have been warning for years that people’s texting, browsing, and gaming habits make them more vulnerable to phone-snatchings, not to mention being beaned with a basektball by Baron Davis. But Gascon is among the first to suggest that smartphone users are putting their neighbors at risk as well when they block out the world and lose themselves in Candy Crush. He just might be right: The tiny screens, the tiny buttons, and above all the headphones do seem more all-enveloping than a dog-eared paperback or the morning paper. On the other hand, it’s hard to see an easy solution on the horizon, unless Google Glass can build in some handgun-recognition software. Come to think of it, maybe surveillance cameras will eventually be able to recognize a firearm when they see it, and sound some sort of alert. False alarms would be pretty awkward, though. Here’s another idea: What do you say we all just make a little more effort to poke our heads up and take a gander at the meatspace every now and then? *Correction, Oct. 8, 2013: This article originally referred to the vehicle as a bus. It was actually a light-rail vehicle, or, colloquially, a train.